The rack in the Tower of London was used throughout the Tudor period in England. It was reserved for those identified as having committed the most serious of crimes against the state. In theory there were rules about the use of torture. For example, people were not meant to be tortured to death or tortured repeatedly. People who were physically weak were not mean to be tortured because they might not survive the process. Attempts were made to start with ‘milder’ tortures before moving on to the rack if all else failed. On the rack, a victims legs and arms were tied to bars at either end of the device, rollers were then used to stretch the body. The tension was maintained and gradually increased by use of a ratchet. 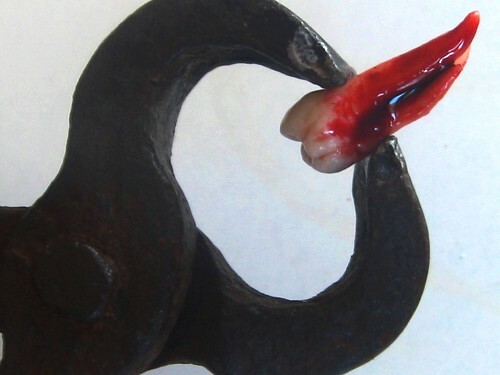 This caused terrible pain for the victim as well as increasing physical damage as the torture continued. Tendons were ripped, joints separated and bones fractured. The sounds of muscles and tendons tearing and snapping provided audible signs of the damage being done. A victim of the rack was often left with permanent physical disability. 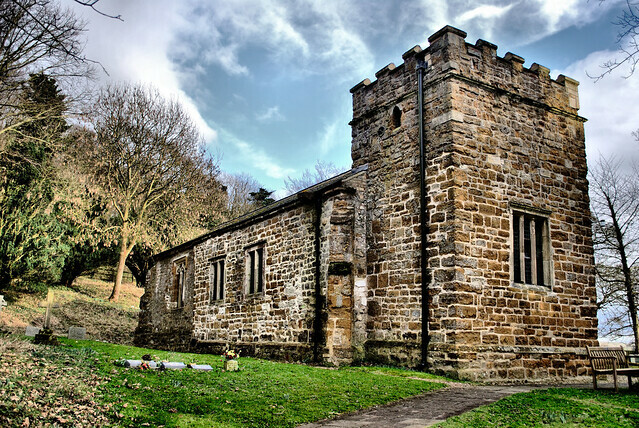 For example, because of injuries suffered after being racked three times the Jesuit priest Edmund Campion was unable to raise his hand to swear at his trial. Eventually, public disgust led to the Rack’s use being restricted. Richard Topcliffe, a notorious torturer, claimed to have invented the use of ‘gauntlets’ or manacles as a torture instrument. This was considered to be a lesser form of torture, however, this distinction may well have been lost upon people who experienced it. 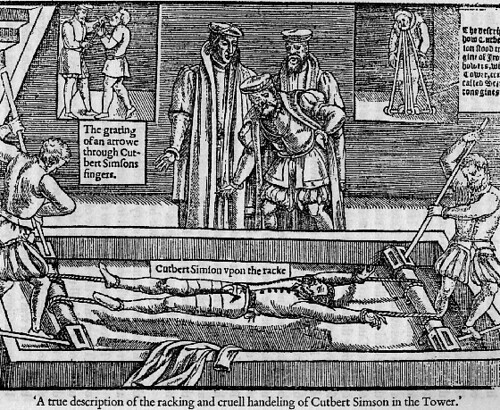 John Gerard, another Jesuit Priest described being hung by his wrists from a post in a torture chamber in the Tower of London. Gerard remained hanging for several hours and was only taken down after fainting. As soon as he revived he was put back into the manacles and suspended again. This continued until after 5’oclock when he was eventually returned to his cell. Incredibly, Gerard never broke and maintained his refusal to answer the questions put to him. Official reluctance to use torture was abandoned in cases of those suspected of involvement in the Gunpowder plot. In an incident which became infamous, Nicholas Owen the builder of secret hiding places was racked to death in the Tower of London. Owen, who was starved out of a hide during a search in Worcestershire was taken to the Tower for examination. Because of his knowledge about the secret Catholic organisation, Owen was a potentially valuable source of information. Unfortunately for the authorities however, he never revealed any secrets and died on the rack without saying anything of use. An embarassed Government tried to suggest that he had killed himself with a knife. The truth is that an earlier injury ruptured and according to John Gerard ‘his bowels gushed out together with his life’ . 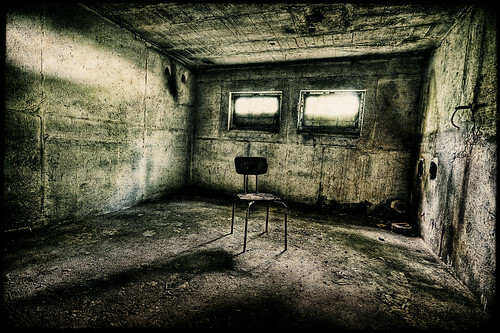 Torture – a controversial practice. Official use of torture continued in England until the 1640’s. Throughout it’s use in this country it caused controversy, both on moral grounds as well as it’s usefulness – obviously, evidence obtained under torture has very limited use. Sadly, this subject has current relevance as we continue to hear discussion around the rights and wrongs of torture. The rack is no longer employed, having perhaps been replaced by ‘waterboarding’ ? We are left to question whether we have really moved on all that much from our Tudor predecessors? PS Since writing this post I came across this – things really haven’t moved on much from the 16th/17th Century! I also found this blog which is worth a look. 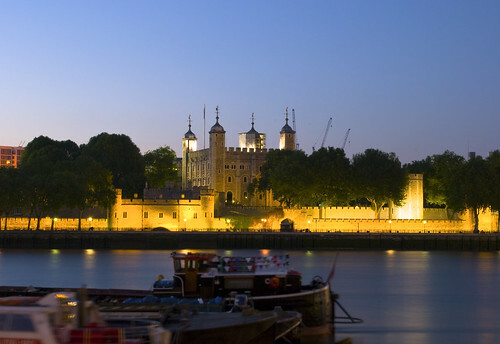 In 1597,the Jesuit Priest John Gerard was held in the Tower of London on charges of Treason. Gerard had been tortured and was awaiting trial on charges that would certainly have brought him to the scaffold. Whilst held in the Tower Gerard was able to smuggle secret messages out to friends and I thought it would be interesting to try and re-create these messages. Apparently, Gerard managed to please the warden by making him a gift of some oranges that he had been sent. 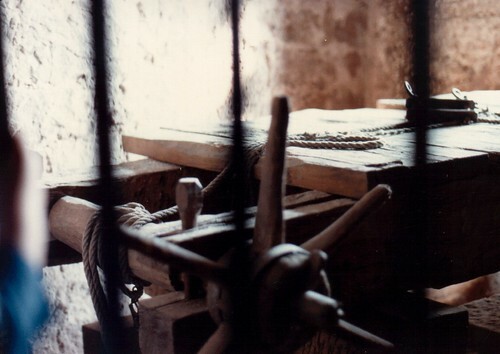 Because of this gift, the warder agreed to allow Gerard to send a gift of crosses made from orange peel to his friends in the clink prison (also in London). The warder agreed that Gerard could write them a message in charcoal as long as he was allowed to check the message first. Gerard wrote a message in charcoal which must have been all that he had to hand with which to write – as you can see from the poor handwriting below, I found it hard to write anything at all! Once the warder had left the cell, Gerard used the saved orange juice to write another letter onto the paper. Once it had dried,it was used to wrap the crosses and sent to his friends. All that the recipieint of the message then had to do was to hold the paper up to a fire, as you can see, a new message appears on the paper. I don’t think it is known what Gerard wrote – I would have written something like this asking for help to escape! Apparently, this was a well known technique for sending messages. Sometimes lemon juice was used, but Orange juice has the advantage of permanently marking the paper once heated up. This quality makes it less easy for a letter to be intercepted and read without detection. As you can see, from the picture below, the orange juice turns to a dark brown once heated. In practice, it took quite a lot of heat to produce this effect and it was difficult to avoid setting the paper on fire! I did wonder whether this was where we got the expression “reading between the lines”? – I was unable to find the origin of this and would be interested if anyone knows where this comes from.